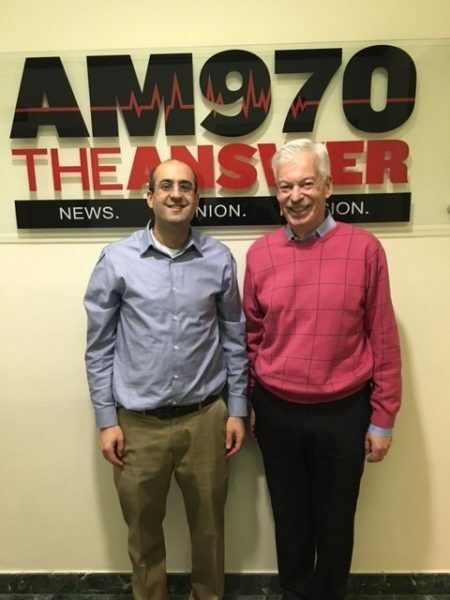 The following is a conversation between Matt Forti, Co-founder and Managing Director of the One Acre Fund, and Denver Frederick, Host of The Business of Giving on AM 970 The Answer in New York City. Denver: For those who follow nonprofits and social enterprises closely, there are a number of organizations that carry with them a stellar reputation and embody what the future of this sector should and hopefully will look like. Yet, they remain largely unknown to the general public, especially here in America. One such organization is the One Acre Fund. And here to tell us about it this evening is their Co-founder and Managing Director, Matt Forti. Good evening, Matt, and welcome to The Business of Giving! Matt: Thanks so much, Denver! It’s great to be here. Denver: Tell us: who is the One Acre Fund? And how did you get started on this journey? Matt: One Acre Fund is a nonprofit social enterprise, and our client is a poor farmer that farms roughly an acre of land in a remote area of Africa. We got started about 10 years ago because when we visited Africa, you go into the rural areas; the whole landscape is dotted with farmers. Their profession is to grow food, and yet, they can’t grow enough to feed their families all-year round. Agriculture has become so much more productive everywhere else in the world over the past few decades. We said, “Why not Africa? What’s driving this? Can we do something about it?” And we pulled together a pilot and a model, and the rest is history. In the areas where we work, 1 in 10 children will die before the age of 5. Hunger is the primary underlying reason for those deaths. And then, even if you’re lucky enough to survive, you’re going to have a 1 in 3 chance of being physically and mentally stunted. Denver: Before we get into your actual work, what is the impact, the human toll on a child growing up in extreme poverty and extreme hunger in Sub-Saharan Africa? Matt: Hunger has just absolutely devastating consequences. In the areas where we work, 1 in 10 children will die before the age of 5. Hunger is the primary underlying reason for those deaths. And then, even if you’re lucky enough to survive, you’re going to have a 1 in 3 chance of being physically and mentally stunted. I mean, literally, your brain doesn’t develop to its full capacity. And so what you have is children that don’t go to school ready to learn, and their full potential is never going to be reached. Denver: Well, global poverty, as tragic as it is, is really just an inevitable part of the human condition. It will always be with us, and I think that’s a conventional wisdom shared by so, so many people. But that would not include you or One Acre Fund. You believe it is solvable and can be done within your lifetime. What do you base that on? Matt: Absolutely! One of the most daunting, but exciting facts about poverty is it is primarily a rural phenomenon, and 70% of the world’s poor are farmers. So, this single profession has more poor people combined than every other profession out there. And so, if we can make this single profession more productive, we have a huge lever to try to get the next generation of families out of poverty. And so, One Acre Fund believes that essentially, if you can pull together the right mix of things that makes agriculture more productive, families will be able to invest and get themselves out over a period of time. Denver: Well, let’s walk through that if we could. You have a very clean and clear business model. It has four pieces to it. Why don’t we begin with Farm Inputs. What are they? Matt: Farm Inputs are things that you put into the ground to make your crops more productive. So, first, we start with seeds. Hybrid seeds are naturally cross-pollinated. They’re much more effective than saving your seed from the last harvest. Also plant nutrients,–things like compost and animal manure, as well as small amounts of fertilizer– can have a dramatic difference on the growth of your plants. So these are the technologies that have been used in the U.S., for instance, since the ‘30s or ‘40s; they just haven’t been distributed effectively in Africa. And that’s where the model starts. Denver: The second part of the model is Finance. Now, how do you go about finance with people who are living in extreme poverty? Matt: Finance is absolutely critical. There are no credit scores in the rural parts of Africa for us to use. But what we find is that if you can finance a productive asset loan…so, instead of giving cash, you actually give the inputs. That’s the loan. And you know that the inputs are going to be used productively. That’s going to give you a high confidence that those inputs are going to turn into cash that can be repaid down the road. So, that’s exactly what we do. Denver: And the third piece is the Education part. What kind of training do you provide these farmers? Matt: The training is critical. It’s really basic techniques. There are really five or six techniques that drive 80% of the productivity of agriculture. It’s really proper spacing of seeds. It’s planting in rows instead of scatter shot. It’s micro-dosing tiny amounts of fertilizer, and a few other things. Basically, what we find is that if farmers can do these six basic things well, then the input loan that they’ve received is going to be productive. Denver: And the final piece of it…not to be overlooked, is Distribution. Matt: Yes. Absolutely. A big part of the problem is that the closest place to access seeds for instance might be 30 kilometers away—you may as well be on the moon if you’re in rural Africa, if you think of all the hills and such. So we distribute all of this within walking distance of every farm family we serve. And the training is provided in the farmer’s field. It’s actually provided by farmers themselves that are in our program that we’ll hire and train up. And when you put it all together, you have a very impactful model. Denver: Yes. You’re the Amazon of rural farmers, arguably. Matt: Yes! We do like to say that. Matt: Yes! One of the side projects of our founder… which really came out of the recognition that with One Acre Fund, again, the technologies to improve have existed for generations. It’s really about: How do we get these proven models into the hands of the people that need them? Agriculture is one thing. But in clean energy, for instance, solar lights can be very impactful for a family from a health and education standpoint, and also from avoided kerosene expenditures and batteries and candles. This is something that pays back for a farm family within 8 to 12 months. Bed nets that prevent malaria…So, across all of the different aspects of what it takes to be successful in rural Africa and elsewhere, we know what it is. And now it’s just about getting it into the hands of the people that need it. Denver: Absolutely! Well, although One Acre Fund is a nonprofit organization, and you’re committed to improving lives, Matt, you operate very much like a regular business. And that stems from your belief in market-based solutions to poverty. Explain what those are, and why you think that is a correct approach to addressing extreme poverty. Matt: Yes. That’s absolutely right. I think the recognition that we had very early on is: if we treat our farmers not as beneficiaries, but as clients – as paying customers – that all of a sudden, everyone’s incentives are going to be aligned. One Acre Fund knows that if we don’t deliver high-quality services, farmers aren’t going to repay. And if farmers don’t repay, we’re not going to be able to operate in the next season. And so, what you see all the time in our areas of work is, for instance: repayment– which happens during the course of the farming season week by week, bit by bit– if our repayment is suffering in an area, that’s probably because we’re not delivering the trainings effectively. Or we didn’t provide the seeds on time. And so we can immediately focus attention on that area. It basically just makes sure that farmers have a voice in the services that they’re receiving. It also, of course, means we’re much more scalable. We’re not dependent 100% on donations. About half of our revenue this year will be from the very clients we’re trying to benefit, and I think that’s one of the main reasons why we’ve been able to grow from 40 to 450,000 families in just 10 years. …we’re trying to alleviate hunger, but the long-term goal is intergenerationally. We’re trying to get families to be able to educate their children, and those children to be able to pull the whole family out of poverty. Denver: That’s quite impressive! Let’s talk about your clients for a minute. Who are they? What are their lives like? Share with us a story of one of them, if you would. Matt: I’d be happy to. A typical One Acre Fund farmer is a woman. She toils in her fields for probably about six to eight hours a day. She’s also probably responsible for child care… for her children. And she and her family suffer what’s known as the “hunger season.” It’s basically a period of time after the main harvest has run out where the family is skipping meals, regularly substituting high-quality meals with low-quality ones. And this is what creates the cycle we talked about earlier. Well, farmers have this amazing asset. They typically do have enough land to basically grow enough food all-year round. One of the stories I’d like to share is of a farmer named Teresa Wanyama. She is a widow. She has eight children that she supports. She actually was one of the first 38 farmers in our program in 2006. When we celebrated our 10th anniversary last year, we went back to that first village, and we tried to document: what was the path that Teresa took in our program over that 10 year period of time? And what we found was three things. First, it was alleviating the hunger, and that meant the main crop she was growing – maize – needed to be much more productive. She went from growing two bags of maize– which is about enough food for maybe four months of the year– to growing 15 bags of maize. So, significant improvement. The second thing was nutrition, so really helping to introduce diverse crops like collard greens that provide additional vitamins for her children to keep them healthy. And then the third thing– and this is very common in our program– is to provide more expensive assets. One of those is trees. Trees are an amazing product. They’re great for the soils. They don’t take up a lot of land. They grow vertically. And if you can keep trees in the ground and harvest them five, six years after you plant them, you could make $5, $10 for something that may have cost just a few pennies to put in the ground. What we found is that Theresa had last year harvested about 40 of her original trees. She sold them for about $600. That’s a huge windfall in rural Kenya. And with that, she was sending her eight kids to school. Four of them are in secondary school; another four are already in university. And again, that’s unheard of. So when you talk about: we’re trying to alleviate hunger, but the long-term goal is intergenerationally. We’re trying to get families to be able to educate their children, and those children to be able to pull the whole family out of poverty. Denver: That’s a great story, and it’s hard to believe you have 450,000 of those. What countries do they encompass? Matt: We work in six countries in Eastern and Southern Africa. Kenya and Rwanda were our first two countries; about 80% of our farmers are there. We work also in Burundi, which is the hungriest country in the world, Tanzania, and then Uganda and Malawi. We launched those countries last year. We don’t want to do this work to just reach a lot of people. We want to have a very deep quality and measurable amount of impact. …nothing is sacred at One Acre Fund. If it’s not working, we’ll go back in and figure out how to improve it. And that’s the central part of what makes us successful, I think. Denver: You have emphasized measurement and evaluation on everything you do, right from the very get-go. And that as much as anything, I think, defines the culture of the One Acre Fund. Tell us how you’ve gone about doing this, and how it has helped shape the culture of the organization. Matt: I think the most important thing is, as we’ve said from day one, we don’t want to do this work to just reach a lot of people. We want to have a very deep quality and measurable amount of impact. Secondly, that we don’t just want to measure to provide data to donors and outside parties. We really want to do it, first and foremost, to make sure what we’re doing is working and figure out how to improve our program. And as a result, every year, every crop, every country, we are going out there and physically weighing the yields of One Acre Fund families, as well as neighboring families that aren’t in the program but possess similar characteristics and similar propensities for farming. And so we know exactly how much extra yield is coming out of the ground because of the One Acre Fund program, and we know where it’s working and where it’s not. We’ve had many examples of failures, particularly in the early years – crops that weren’t growing to the extent that they should have. And nothing is sacred at One Acre Fund. If it’s not working, we’ll go back in and figure out how to improve it. And that’s the central part of what makes us successful, I think. Denver: And you also believe that organizations should have the internal capacity to do their own evaluation and testing, and not just rely on outside vendors. Correct? Matt: That’s exactly right! I think you can fall into the trap of thinking: “Measurement is so sophisticated. It can only be done by a PhD,” and that’s not the case. Most measurement really is about the weekly process indicators – Did the farmer come to training that week? Is the farmer spacing their seeds properly? – and really being able to use that data immediately to change course, improve what you’re doing. And that kind of measurement can be done absolutely internally. Denver: Yes. And in fact, I think this data is really being collected by your front line workers, and they’re going to be the ones who are going to use it. So, it’s more meaningful when they’ve actually collected it. Matt: Absolutely! You go to Africa, one of the things I love doing is visiting meetings of our field officers– these front line staff– every week. And there’s a big chalkboard with tons of rows and columns and the words “KPI” at the top – “key performance indicator.” So you’re talking about people with a primary school education who are tracking these indicators, comparing between different districts. And that’s exciting. It’s people using business principles to try to make a difference in their communities. Denver: And I’ve been impressed on how thoughtful you’ve been in going about this. For instance, as you scaled up the organization and entered new countries in Africa, your impact per client– for every dollar that has been spent– has actually fallen in some cases, while the amount of social good you have done has increased. Explain that to us. Matt: It’s interesting. The main way that we measure impact is thinking about how much extra yield and profit One Acre Fund is generating. Well, one of the exciting things for an overall social good– but less good for the impact that we’re measuring– is the fact that One Acre Fund’s trainings are now spilling over into the communities where we work. Even if you’re not enrolled in One Acre Fund, you’re seeing that your neighbor’s yields are going up; you’re asking them, “How did you do that?” They’re actually teaching these techniques to their neighbors. And so what’s great, what we’re seeing is the entire community is being lifted up. Our impact looks a little bit less, but the total impact we’re generating in the community has gone up. Denver: You know, Matt, every book on social entrepreneurship or social enterprise talks about the need to scale an organization to have great impact. But One Acre Fund has actually done that, and at breathtaking pace over the past 10 years. Tell us about your growth as an organization and some of the lessons from it that you can share with us. Matt: We have grown really, really dramatically as I mentioned– 40 to 450,000 families in 10 years. I’d say three things. One is: it starts with: What is the size of the problem you’re trying to address? There are 50 million smallholder farm families in Africa. Ninety-three percent of them fit the characteristics of who we like to serve – two acres roughly, or less, of land, staple crops predominantly. Most other organizations focus on that tiny sliver– 7%– that might be already well-organized into some kind of a value chain. So, it’s going after where the biggest problem is. I would say secondly, is the visibility of our impact. So we talked about this before. But crops are growing to twice to the height they normally do in our program. So the neighbors are asking how that happened. Our growth is very organic. We have a group that experiences the program together– of about 7 to 12 farmers. Those groups will then split up, and each of those farmers in the next year will register their own new group. So it’s a very organic way to grow. You put down in an area, and then it grows like a spoke. I would say the third thing is to—as we talked about earlier—really to treat the farmers as clients and not as beneficiaries. I mean, that’s just really critical. With paying customers, we’re able to spend less per donor dollar than most other organizations to deliver our services. That’s allowed us to grow new countries much more quickly, for instance. Denver: Yes, and you give them the dignity. Denver: Well, as you look to your future growth, you’re looking to expand by diversifying some of your programs in interesting ways. What are some of those plans, Matt? Matt: Absolutely! I think one of the common struggles that nonprofits have is, on the one hand: if you focus on one thing, you can get really good at it, but you might not be addressing all of the needs of the people you’re trying to benefit. On the other hand, if you try to go in on day one and do everything well, you probably won’t do anything particularly well. So I think we’ve taken this nice middle ground. We’ve really focused on agriculture in these early years, but it’s opened up the ability now. We have the trust of the clients we work with. We have this very unique distribution channel that doesn’t exist into these very remote villages. We’re looking to do new things. A big one a few years ago, as I mentioned earlier, solar energy. Solar lights are very powerful, quick product payback. So that’s one thing that we’re doing. We talked a little bit about nutrition. This year, we’re doing our first-ever trial of providing services to pregnant mothers, really providing them training on things like exclusive breastfeeding, nutritional supplements that children need to grow healthy. So that’s a new area for us. But we’re open to lots of different things so long as it can be trained by the same people; it can go through our distribution channel, and be financed. Denver: Crop insurance is one of those things, right? Matt: Yes. Unfortunately, this past year, there was a terrible drought in much of Eastern and Southern Africa. Crop insurance historically has been for rich people, but if you think about it, rich people are not the kind of people that need insurance. They can cover their risks. It’s the poor people that need it. We’re now East Africa’s largest insurer of crops, and we want to keep improving that product so that farmers are covered for their harvest. Denver: I want to speak to you a little bit more, Matt, about your corporate culture, and especially the investment that you have made in developing and training your people. Tell us about it. Matt: I think some people equate nonprofits with just good hearted people out there delivering services. But we really want to borrow from the best of the business world, which is really about good professional development and training. No matter what level you’re at at One Acre Fund, you’re probably going to be spending at our organization 30% of your time in some kind of a formal training program. It’s a leadership accelerant program. We have examples of front line staff who, as I’ve said, have a primary education. In year one, they might be working with 200 farmers. By year three or four, they might be in charge of a whole district of a few thousand farmers. And they’re getting technical management leadership skills from us. We’re trying to make up for the lack of education that happens in rural Africa. And that’s really critical because it’s much harder to attract… with the salaries we pay… very well-educated African national staff who may be recruited by the large multi-national companies. We’re taking this abundant labor force, kind of making up for the lack of education. And then all of a sudden, these are the leaders of Africa’s next generation. Denver: And as the managing director of One Acre Fund, you’re based here in the United States. But really, the preponderance of your staff is in Africa, close to your clients. Would that be correct? Matt: Absolutely. I’m an anomaly. We have only 40 staff in the U.S. Ninety-eight percent of our staff are not only in Africa, but in rural Africa. Our headquarters are in these rural communities. And that’s really important, being close to the client. The people who are making decisions about our programs are living a few hundred meters away from the clients that we serve. Denver: People often speak of Africa as if it were a country, as opposed to a continent made up of 54 countries. But with that said, tell us what you see as the promise, as well as the perils, for Africa over the next 10 years or so. Matt: Africa is at an incredibly exciting juncture. It’s the one continent in the world where GDP growth is regularly in the higher single digits than most countries. You generally lack the terrorism problems that exist in other parts of the world. You have a human capital gap that can really be filled. The challenges are predominantly political. Unfortunately, it’s pretty regular to not see peaceful transfers of power. And then climate! Climate is going to disproportionately affect, particularly farmers, but many industries in Africa. And that’s one thing. When you invest in farming, you’re not only improving the productivity of existing land, you’re also introducing the incentive to clear cut the remaining savannah. Africa has got about 70% of the remaining forest and natural land that exist in the world. And so those are the two twin problems we’re trying to address… and I think Africa needs to focus on. We have pushed ourselves to make our model literally as scalable as humanly possible. I think setting that bold vision, organizing everyone around that vision, and making sure that everyone is putting the farmer first, that’s really, at the end of the day, what’s gotten us there. Denver: Well, the One Acre Fund is a great success story. I know you have a lot left to do, and it’s a story still being told. But if you have to put your finger on the one thing that would be the most important reason for your success, what would that be? And what would be the one thing that causes you the greatest level of concern right now? Matt: Really setting a bold vision, I think, at the end of the day, really organizing an entire group of people around the vision of putting the farmer first, and really saying that if you’re working on a problem that’s 50 million in scale, it’s just not acceptable enough to reach a few thousand, a few even tens of thousands. We have pushed ourselves to make our model literally as scalable as humanly possible. And I think setting that bold vision, organizing everyone around that vision, and making sure that everyone is putting the farmer first, that’s really, at the end of the day, what’s gotten us there. Denver: Yes. You got 450,000. I know you have a goal of a million by 2020, correct? Matt: Yes. I think the biggest fear we have is: How are people going to perceive global aid, foreign aid, over the next few years, and not just the U.S. but also in countries in Europe? It’s very common for individuals– citizens of the U.S., for instance– to believe that we divert 10% of our budget to foreign aid. We’re spending less than 0.1% of our budget on foreign aid. And there are programs that are out there working, and it’s not just One Acre Fund. And I want to make sure that people know that investments that are being made on behalf of all of us here– of taxpayers– are really making a big difference in the world. 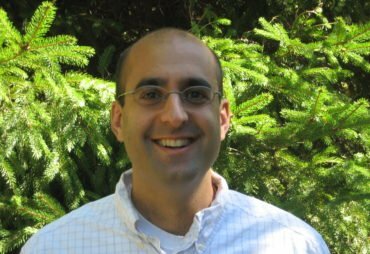 Denver: Well, I want to thank you, Matt Forti, the Managing Director of One Acre Fund for covering so much ground in a relatively short period of time. For those interested in learning more about One Acre Fund, or who may want to help support your work, your website is? Matt: Oneacrefund.org. Please go there; visit us. Also talent is the number one resource that we’re always looking to grow. So if you’re interested in volunteering or working at One Acre Fund, you’ll also find a lot of information on our website about that. Denver: Great! Well, it was a real pleasure, Matt, to have you on the program. 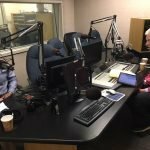 The Business of Giving can be heard every Sunday evening between 6:00 p.m. and 7:00 p.m. Eastern on AM 970 The Answer in New York and on iHeartRadio. You can follow us @bizofgive on Twitter and at facebook.com/business of giving.